So in the last installment, I mentioned that Mariko was feeling a tad underdeveloped compared to everyone else. Had I known that the very next episode was going to put her front and center like this, I would not have even mentioned it. I would not have even thought it, because seriously, this was pretty intense. We’ve known that Mariko is a bit (understatement) obsessed with Nanako, but “I Want You” makes the depths of Mariko’s obsessed abundantly clear. 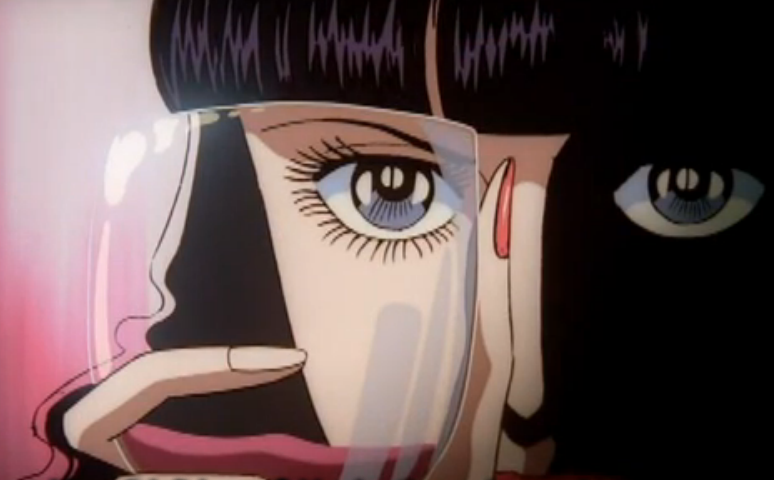 “Everyone wants to take you all by herself,” observes Tomoko at the start of the episode, talking about how everyone wants Nanako in their lives, and in their lives only. While Tomoko could be, and likely is, just talking about Mariko, this is largely true. Nanako, a largely passive presence in the series despite being its protagonist, is loved and desired for her simplicity (“Nanako is Nanako.”) and this is perhaps why everyone wants a piece of her. There’s a purity to her that transcends Seiran’s double-dealing and plotting. It’s for that reason that Tomoko likely reacted as horribly as she did when Mariko lied about Nanako’s obligations: it signaled a (false) change in Nanako’s very being, one that rattled Tomoko to her core. Mariko’s birthday celebration is a study in increasingly uncomfortable scenarios (with a malicious love bite to the ear as a prelude). While the actual birthday in the reserved room of the swanky hotel is more uncomfortable than anything (a string quartet?! ), you feel like things are generally going to be okay after the delightful reception the cookies receive. And while it’s a bit odd that Mariko is getting to enjoy some wine with her caviar, it is her special day. Things spiral out of control once Mariko gets the idea to have Nanako over to the house. Sure, having some coffee is fine (coffee with brandy though? ), but the night becomes a house of horrific maladjustment. The showering sequence feels exactly as creepy as it should. The censoring adds to the vulnerability of the sequence, as do brief asides from Nanako that give us some insight into how she sees her body and Mariko’s. To the episode’s credit, it manages to balance the horror of Mariko’s behavior with, at least on my end, a sense of pity for Mariko. The teenager is isolated from peers, through her own doing, through the society of Seiran, and to her parents’ behaviors and occupations. So when Mariko threatens to kill Nanako and then herself if Nanako leaves, it feels like this, even more than her explosion to her mother in “Relapse, Broken Heart,” is the detonation of those forces in Mariko’s life coming to a head. There’s a tragic element to seeing Nanako run away in the rain, not understanding what has just happened, and Mariko’s mother clinging to her unhinged daughter, and that’s where my pity for her comes from. 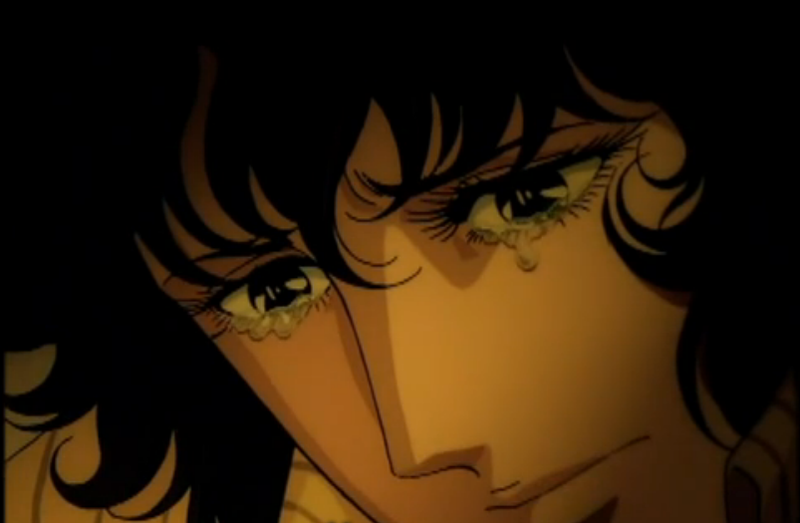 “Relapse, Broken Heart” feels, despite the obvious seriousness of Kaoru’s sudden medical problem, a little flat compared to “I Want You.” While this may sound more critical than it should, a bit of a decompression is needed after the intensity of the previous episode, and we get that here, complete with a necessarily pensive tone that forces us to mull over the events of the series thus far. Understanding is in people’s hearts and minds, something that Kaoru claims cannot be completely understood, which sums up things nicely for us. While this observation was made earlier, it has more weight now after Mariko’s actions. There’s a lack of clear communication and normal relations between the girls in this series as Seiran has twisted them, and it makes it hard to determine just how to handle the emergence of Nanako, who is untainted for not existing in that realm before now. If only everyone spoke plainly and without the pressures of Seiran around them, things might go more smoothly. Kaoru seems to have escaped this to a large degree. She inspires love, respect, and confidence from those around her (“She’s always shining.”), and her behavior (despite hiding her condition, save for a few folks), isn’t as pathological as those around her. But her love for Saint Juste-sama drags her into exposure to this behavior. In a number of ways, Nanako is Kaoru without the confidence and the respect. She’s something to be loved and admired, but in a possessive sense, not in a healthy one. And that brings us to the dolls. There’s a grudging respect offered by Saint Juste-sama when Nanako, aligned with a toy doll, slaps her to take her out of poetic funk. And that’s what it boils down to, in a way. Nanako is a little doll that everyone wants on their shelf. Mariko wants to keep and hold her forever and ever and ever, while I think Saint Juste-sama just sees Nanako as a little toy, a yippe dog, that appears every now and then at her heels. Miya-sama may very well see Nanako as another marionette to replace Saint Juste-sama, or a paper doll to dress and mold after herself. In any case, there’s a real sense of control and possession that drives these two episodes, and it’s something to keep an eye out for as we go forward. So Miya-sama made good on her promise to protect Nanako from bullying. Not only has she threatened to make sure that Misaki never gains access to the Sorority, but if her behavior continues, she will face the full wrath of the group. Dug the intercutting of the tennis match as Mariko manipulated Nanako into attending the birthday party. Saint Juste-sama’s bewildered sorting of the drugs in her pocket was rather funny. It was a bit sad, but it was mostly funny.